Posted on March 10, 2015 by Eduardo Marin, D.Min. 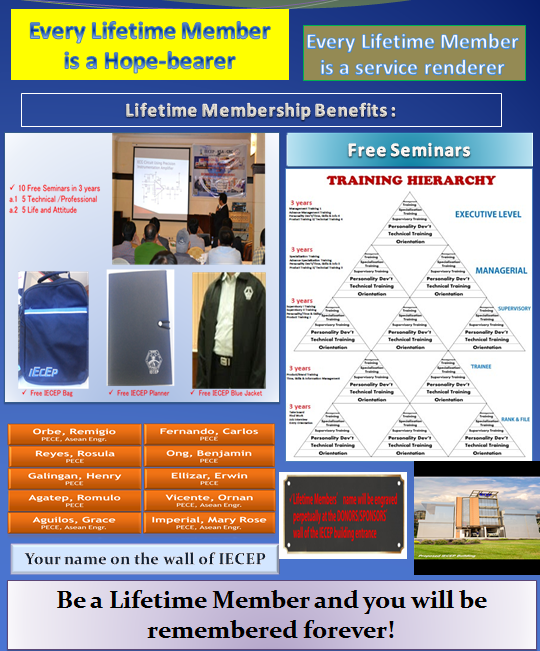 IECEP National, once again, is re-launching Lifetime Membership for our IECEP Home Project. Let’s support this endeavor! 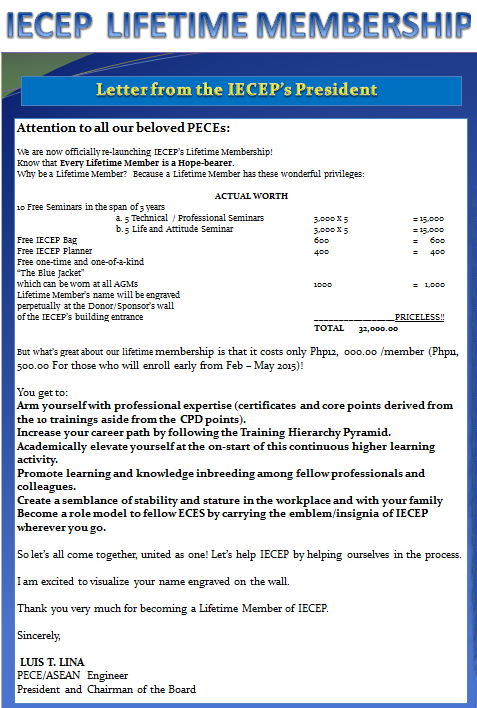 This entry was posted in Consultancy Services, ECE Board, ECT Board, Electronics Engineer, Engineering Services, Freelance, PECE Application, PECE Sign and Seal, Professional Electronics Engineer, Sign and Seal and tagged Consultant, ECE, ECE Board, ECT Board, Electronics, Electronics Engineer, Electronics Engineers, Electronics Plans, IECEP, IECEP Ilocos, IECEP Manila, NTC, PECE, PECE Sign and Seal, Permits, PEZA, PEZA Permit, Plans, Professional, Sign and Seal, upgrade by Eduardo Marin, D.Min.. Bookmark the permalink.